*First off, I drink lots of water, eat healthy eliminating simple sugars because sugar breeds bacteria in the body, and I take vitamin supplements, greens, and fish oil every day without fail. Food packed with omega 3′s is awesome for the skin. I Just started juicing and that is like my everything right now! *Wash my hair every 7-10 days because my dirty hair has caused some pimples, especially around the forehead and neck/jawline area. * I use nothing but natural soap on my face and body. My favorite out of the many black soaps I have been trying is Shea Moisture’s Organic African Black Soap (this soap can be purchased online or at Target & Walgreens). This soap is the bizness! It has faded any blemish I’ve gotten in a matter of days, brings blackheads to the surface, tightens pores, and has kept me bump free. It also isn’t as drying as the other black soaps I’ve tried (all black soaps are not created equally, so try a few of them and see which one works best). * I use nothing but all natural moisturizers on my face and body. For my face I love Aubrey Organics Vegecol with Aloe Moisturizing Cream (this cream can be purchased online or at The Vitamin Shoppe). It penetrates the skin immediately and isn’t greasy or pore clogging. Its an awesome moisturizer. * During the cold months when my skin gets super dry I apply plain cold pressed clear castor oil to my face and stand over a pot of boiling water for 5 minutes, letting the steam hit it. Then I take a wash cloth and rotate, scrubbing off any dry skin. I rinse off with black soap and water, and wahla! Instant at home facial! How do you to maintain clear healthy skin? Yes, I have Started Juicing! I LOVE these Tips! I actually practice most of them but I have been noticing breakouts around my jawline and neck area. Now I know why! I’ve been wearing my hair out lately when usually its up or twisted. I need to take more supplements and greens and I’ll be good! Also the Shea Moisture black soap does wonders for my pores BUT it can be drying for my oily skin, so I use a thick night balm. Thanks Nakisha! Also, can you document more of your juicing journey? Keep us up to date with any changes you notice in your body since juicing, how is it affecting your hair/digestion, etc…? You are so welcome @75b8c8ec1754466cd8f76ec39ec680f8:disqus :). I will definitely be documenting my juicing journey!!! I used to juice but don’t anymore because of time/$$ but wanted to share that juicing cucumbers is the best thing you could do for your skin. It’s mostly the cucumber’s skin that has a high amount of silica which is part of what makes up collagen. I always have the best skin ever if I juice or do green smoothies. Thank you for the info on the cucumbers :). Organic fruits and veggies are pricey, but with this juicer it only takes me about 20 minutes to prepare,juice, and clean up. 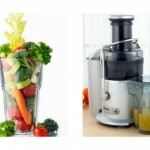 This model is easy to clean vs. many other juicers on the market. Wow I really wanna try the facial! And I already have all the ingredients! Wow, this was right on time. I’ve been breaking out like crazy on my jaw, around the ear and forehead. Because of this I’ve stopped my beloved wash and go routine and have been wearing twistouts. I use the same facial moisturizer that you do, but I added tea tree oil to it b/c my skin is acne prone. The challenge is drinking the water. I fill my bottle every morning and then it sits there…….no bueno. @google-bcee758047ea90368fad15a50cd7e17c:disqus no bueno…lol with the water, stay on top of that :). How is the tea tree oil working with the moisturizer for you? I love the tea tree oil! If I have a pimple I use a cream by Derma e with tea tree and vit. e. Works great. I’m going to challenge myself to fill AND drink two full bottles of water while I’m at work each day.My bottle is 24oz so hopefully that’s a good start. first off – drinking lots of water, just like you advise, miss nikisha. just about all of the products i use have .5-2.0% salicylic acid. i’m still acne prone even though i’m in my 50s, so it helps to keep those breakouts under control. no moisturizer because my naturally oily skin can’t seem to absorb it. my go-to products are dermalogica special cleansing gel to remove my makeup and aveeno clear complexion cream cleanser. also i use stridex pads for toning. it works for me. I have yet to find anything better than African Black soap for my skin. The moisturizer that you mentioned sounds awesome too. I will have to put that on my list of things to try. Thanks for the tips. omggg you are tempting me with that african black soap. I made the mistake of trying oil cleansing method with an oil my skin was allergic to and had horrific, horrific cystic acne all over my cheeks that took months to dissapear. I’m so scared to try new products now but what that soap does for you sounds amazing omg. the biggest things for me are eating lots of fruits (YUM) and veggies (i just focus on making half my plate steamed or stir-fried veggies whenever possible), drinking lots of water, changing my pillow case every 1-2 nights and exfoliating regularly because I have dry skin. I also discovered this amazing mask that I use after cleansing my face. It’s cinnamon, dark chocolate and honey….makes my face glowy and so soft! Your welcome That mask sounds yummy!!! And thank you for the compliment, my skin has been a journey. Its not easy being a woman with all those stinkin hormone changes and what not. I have tried sulfer @efaf627605a75322e8137f3b13a6c1a4:disqus :). Might have to revisit it. You have gorgeous skin! 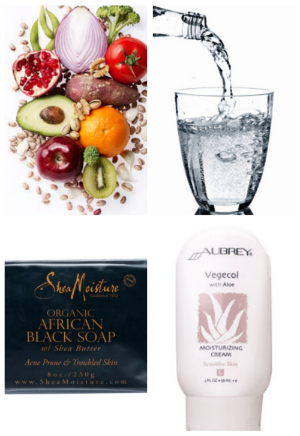 I’ve been considering the Shea Moisture black soap, but am unsure if it’s a good idea for my super-sensitive skin. Thank you @f0fb57fb63e05b15b9528d3f43448f9c:disqus Its all natural so it should be one of the best things to use for sensitive skin. Also if you do try it, start out by using the soap once a day to see how your skin likes it! The Aubrey Organics cream I use is made especially for sensitive skin as well, it says it on the bottle ;). I wash with Dudu Osun African Black Soap, tone with a green tea/tea tree oil mix and moisturize with jojoba oil. On ocassion, I do a honey face mask. My dry/normal skin stays radient with this regimen. I have been using a cleansing oil from Anita Grant and I love it! I alternate it with black soap and I don’t wash my face every day… we have hard water in Cleveland. I have been using a cleansing oil from Anita Grant and I love it! I alternate it with black soap and I don’t wash my face every day in the winter. I usually drink a ton of water, but I’ve been slacking on my vitamins. This is just the kick in the pants I needed. Before trying the facial, I was having yucky, dry, peeling skin, and thanks to your suggested facial, my skin feels MAGNIFICENT. I found my Nubian Heritage Black Soap Bar and washed my face with it after I scrubbed my face with the washcloth, applied my Yes To Tomatoes Daily Moisturizer and my face is just as smooth as a baby’s bottom Thanks for the suggestion! I’ll have to try this more often, especially in these colder months, because I have extremely dry skin year round. Wow………. this one is really looking one of the exceptional experience to know about how to get clean healthy skin. And the regarding tips and massive contents of this source are magnificently looking promising about it. 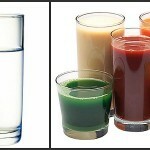 As the drinking water is truly one of the most virtual way to get the radiant skin. Thanks for sharing. Drinking lots of water and eating healthy foods such as vegetables and fruits are the best way to make your skin healthy. I also use natural products because I have sensitive skin. I will try some of your tips. Maintaining clear and healthy skin is a responsibility that most of us often neglect. As for me, I maintain my skin by eating properly besides the skin moisturizing and cleaning that I do every day. I avoid processed, oily, fatty and greasy foods, and I eat a lot of fruits. Proper exercise helps, too, and it’s important to get enough sleep, not just for the skin, but also for the body. it is so helpful to us .i like it. I will definitely be documenting my juicing journey!!! I had an idea like this before, but not sure if it goes correct. Now I think I’ll try it because of your advice. This seems very cool, because I am also using that aloe moisturizing cream. It is really good. our skin needs extra care in winter as its got dry by that time.we can use cosmetic products which contains oil. Great tips for the winter season. Thanks for sharing. Adorable tips and because of this I am more motivated to continue my plans and expose myself more on healthy activities and others that may promote healthy living. Wash your hair every 7-10 days? Why so infrequent? Have you ever tried a salicylic acid peel before? I’ve heard they work really well.